Landslides are complex and evolving phenomena that are difficult to characterize. The region of Texenna, like all the regions of northern Algeria, records several sites affected by these land movements. The morphology of the region makes it exposed to a high risk of landslides, controlled by the combined action of various geological, geomorphological, hydrological and structural factors. This work aimed to study a landslide in the city of Texenna, located 20 km southeast of the city of Jijel, in a metamorphic terrain with a steep gradient greater than 30°. 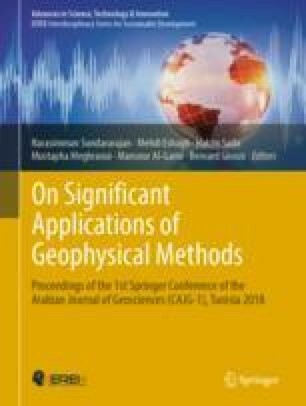 The adopted approach was to process the available data on the electrical resistivity of the formations encountered by exploiting these data in the form of electrical images. The correlations of these electrical images with the results of the core holes allowed us to distinguish the unstable mass from the underlying substratum. The precise determination of the depth of the shear zone was of vital use to carry out the stabilization work of this unstable zone.